Striking workers at the Vancouver Art Gallery say they have voted to effectively end their strike. A statement from the union says members ratified a mediated settlement with management, which they said ended the labour action. Workers walked off the job on Feb. 5 over wage dispute and what they referred to as "long-standing scheduling rights." 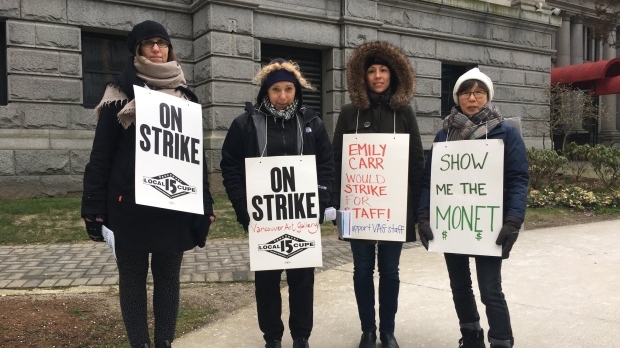 "Our members successfully fought back against a number of concessions, and won several key provisions that will improve the working conditions and compensation of Gallery workers today, and for years to come," said CUPE 15 president Warren Williams in a statement.